Marketing automation techniques can make your marketing team more productive, amp up the impact of your marketing campaigns, and increase your leads generation. 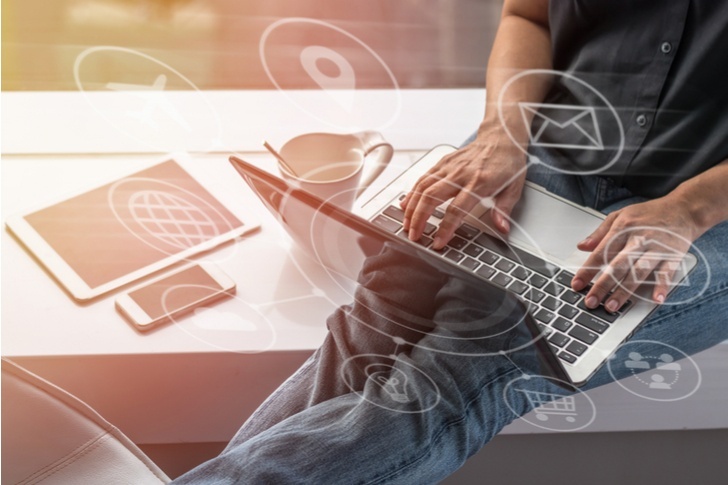 However, overuse of marketing automation can backfire: HubSpot warns that overloading on marketing automation can quickly turn spammy and put off potential customers. Their suggestion? 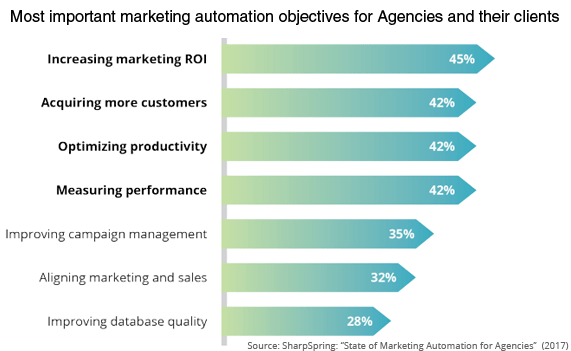 Focus your automation efforts on internal marketing processes, and keep them to a minimum on client-facing marketing activities. Email marketing remains a highly effective way to engage and convert leads, but it can be time-consuming if you’re handling it manually. Marketing automation can be a lifesaver here - but only if used strategically. Rather than sending the same automatic chain of emails to all your prospects, segment them by their behavior - the content they download, which webpage they visit, the number of times they’ve engaged with your company - and provide personalized emails that will provide them with more value. More personalized marketing gives better results: according to Econsultancy, 93% of companies saw an increase in conversion rates when they personalized their marketing content. DO: Use automation to trigger email chains for your leads and customers. DON’T: Send one-size-fits-all emails - use behavioral data to personalize your email marketing content. Send special offers to loyal customers, or offer discounts to potential high spenders: This technique reminds customers about the value they get from staying with you, and may also increase customer lifetime value. Encourage users who haven’t been in touch for a while to re-engage with your brand by offering free high-value content. Thought-leadership articles, white papers, tutorials and other useful resources can all help to re-engage your customers. DO: Use automation to make sure you engage with every user, and create customized loyalty programs to keep them coming back for more. DON’T: Overwhelm users with in-product messaging or automated emails - you don’t want to pester them! A Workfront report found that marketers are spending just 44% of their time actually doing marketing. The rest of their time gets drained away by email, messaging, and meetings. As the demand for original content grows, and attracting potential customers’ attention gets increasingly harder, healthcare software companies would be well-advised to cut down the amount of time their marketing team spends in back-and-forth, and increase the time they spend delivering valuable marketing content. Marketing automation software can be a great way to reduce the need for constant discussion over each deliverable. By standardizing frequent processes like content publication using automated workflows, your marketing team will become more productive, and probably also more engaged and creative. DO: Automate standard workflows and use content management systems to cut down on unnecessary communication overhead. DON’T: Let your marketing team waste time on email, meetings, and spreadsheets. Marketing teams working with manual tools can let things slip through the gaps - a serious issue when you’re selling into a complex industry like healthcare. For instance, minutes taken down and shared manually during team meetings may miss key ideas or important product details. Adweek advocates the use of marketing automation software to create better meeting notes: automated collaboration tools can help make sure nothing gets overlooked. Even better, teams can assign action points from meeting notes to one another, automatically set due dates, and store linked information in the same place - without the need to send separate emails. DO: Use marketing automation software to make your marketing meetings more productive. DON’T: Rely on paper, email, or memory to store and share critical meeting outcomes. Nobody enjoys manually uploading leads from spreadsheets, social media platforms, or event lead capture tools into your CRM - but for many small businesses, manual leads input is just a part of the job. For some, it becomes too much hassle, so leads are left in multiple siloed data sources which quickly become unmanageable. The good news is that this is a process that can be easily substituted by a marketing automation tool. There are a number of products on the market that can enable you to automate your leads flow. Leads added to one platform will automatically be imported into your preferred CRM or email management platform. You can also tag leads so you can create targeted email marketing campaigns depending on how they found you. DO: Automate your leads flows to get all your leads in one place. DON’T: Let your marketing team waste time manually copy-pasting data or let your leads fall through the gaps. Keeping an eye on your marketing data is critical for knowing if your strategies are paying off. Quick and comprehensive marketing reports let you know if your campaigns are working, what needs work, and where your team needs to step in and make changes. Producing reports manually can be time-consuming, and manual reports rapidly become out of date. Marketing automation tools come with automatic report functions which give you a real-time insight into your marketing activities and how they support your sales pipeline. DO: Set up reports to measure critical marketing metrics in real time. DON’T: Overwhelm yourself with too much information - automated reports can become so detailed they are unusable. Identify your critical goals and the KPIs that will show your progress toward those goals, then create reports based on those few key criteria. Marketing automation can be a powerful way to improve the productivity of your marketing team, better manage your leads, retain loyal customers, and reach more potential users of your healthcare SaaS products. But marketing automation is only as good as your existing marketing strategy. To be successful, your marketing automation program must be based on a solid marketing plan and high-quality content. If you’d like our help building and implementing your marketing plan, we’d love to hear from you. Please schedule a free consultation call here.